What makes an IT company great? Bruce Pitso, South African regional manager, Ruckus Wireless. In business, having your foot in your mouth can easily translate to a foot out the door. So when the ICT world makes a noise, the aim is to attract new business. They don't talk about themselves, especially companies that sit in the food chain between vendors and clients. Yet, these companies help make up a R13.9 billion local industry, excluding telecommunications. So Brainstorm decided to turn the tables, so to speak, and ask its roundtable attendees: what sits behind the sales pitch? The people of ICT are as regular and congenial as anyone else, but their brands often demand a bit of swagger and bravado. ICT companies court big fish with big contracts - cloud may have broadened the market to smaller customers, but it remains a highstakes game. So when the opening question is an opportunity for attendees to buff their brand, a steady march of jargon and catchphrases appears. One person even manages to capture the entire mantra in a single comment: "You must innovate and iterate, but one must also be cautious of cutting-edge delivery. You want to deliver solid solutions, but also be at the forefront of technology. People you work for want to know you deliver top-end solutions and give them what they need." This is what practically every ICT company would and does say. But similar comments don't even make a complete round before the conversation begins turning inwards, speculating on the direction of a very competitive industry. "With quality comes a price and we're at a time where companies are very cost-sensitive," says Lance Fanaroff , joint CEO of Integr8, wondering if customers are going to forego quality in tough times. "It's about whether that additional quality warrants them spending the additional money. As South Africa comes on the squeeze, there will be more of a focus on price than quality." 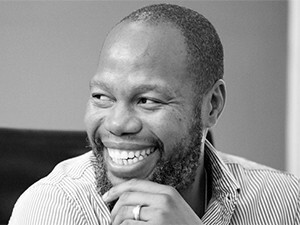 Bruce Pitso, South African regional manager at Ruckus Wireless, agrees that there's pressure from customers to reduce costs or be undercut, but sees it as a more long-term trend that emerges as business leaders take control of ICT: "You get organisations that will want quality at any (or great) cost. But you get other companies that say, 'If it will work at a cheaper cost, we'll go for it'. People who decide about technology often don't know much about technology. So the best of breeds will come in and cater a project for a long-term investment. But because the supply chain has been instructed to go for a more cost-effective solution, it's a challenge. And we are headed in that direction." At this point, it warrants a reminder that 'ICT' is a catch-all phrase that involves many different types of technology and implementation. Pitso's comment gels with that of companies that count hardware and infrastructure as a large part of their business. Whether you look at the rise of Chinese manufacturers or fibre networks threatening incumbents, there is a quantity race in those markets that can override quality, something customers are taking advantage of (if the risk seems fine). Professor Barry Dwolatzky, director & CEO, Joburg Centre for Software Engineering. But Decision Inc.'s CEO Nicholas Bell notes that this is not the case in the more service-orientated ICT sector: "On the professional services side, it's slightly different. Quality is no longer the diff erentiator - it's the norm, the expectation. The market wants it for less, but it doesn't want the quality dropoff . So with a large enterprise, you can't increase rates or make great margins. They are squeezing us on rate, but the quality remains constant. These days, they have options and take advantage of that." But is there even a choice? A popular military maxim says that a good plan now is better than a perfect plan later. 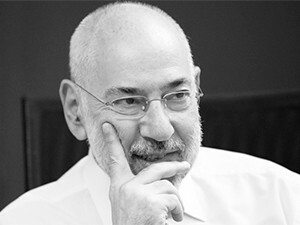 Yet in ICT, a good plan now often leads to big headaches later, says Professor Barry Dwolatzky, director and CEO at the Joburg Centre for Software Engineering. "There is a concept bandied around called technical debt. If you rush to market with something that is cheap now, it will cost you later. We need to get it out of our minds that you do something well or you do it cheaply. We have to find ways to do things well and cheaply and use that in the same sentence, not as flipside to the coin." 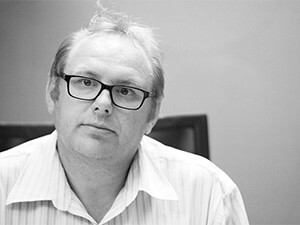 Yet, companies can't just expect cutthroat pricing if they dug themselves into a hole, says Warren Olivier, regional manager, Southern Africa for Veeam Software: "Often companies didn't invest in an entire solution, only a part of it. There hasn't been that entire end-to-end focus." The result is patchwork environments that are never brought ahead on the curve. We're at a time where companies are very cost-sensitive. Nonetheless, this spells more opportunity for the ICT industry: "I'm not going in to force this down the customer's throat," says Olivier. "I'm going to say, you got a bit of this and that. I'm going to find ways to leverage more out of this. That's where partnerships and alliances - co-opetition - are important." But delivering on those intentions and partnerships requires a key ingredient, one that is becoming ever scarcer in the country. Earlier in the discussion, Bell had remarked: "(Enterprises) can't afford for you to learn on their time. Everything is more urgent and must be out faster." He was talking about the demand for quality despite cost, but this also touches on a much bigger issue, one that requires much more buy-in than it is getting: skills. 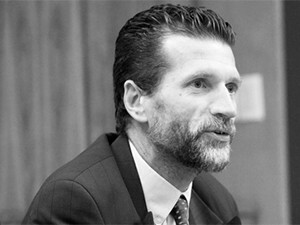 Kim Andersen, CTO, T-Systems South Africa. Saying the 'S' word almost always draws the same response from IT professionals: a metaphorical roll of the eyes and a, 'yeah, but what can you do?' look. Yet skills are a serious problem. South Africa is not producing enough of them, particularly in the ICT field, and that shortfall is growing as 21st-century technologies start making an impact. "There is a big gap between quality skills and the quantity of those skills," says Dave Ives, head of Solutions at Karabina Solutions. "We have quality skills, but if I look at the new skills - machine learning, new languages and the stuff we're encountering in the predictive space - I would say we have a skills shortage. If I look at the CRM and digital transformation space, taking a company to end-to-end transformation, I question if we have the depth and capability in this country." The big issue, he adds, is the lack of a large pipeline of people coming into the sector. Ives isn't alone in this concern: an annual survey from Wits University's Joburg Centre for Software Engineering last year found South African ICT skills to be lagging far behind Egypt, Kenya and Nigeria. Armand`e Kruger, regional sales director, PBT Group. "We invest too little in skills as an industry and country," says Dwolatzky, adding that this burden is too often laid at the feet of universities and government. Instead, the ICT industry needs to become much more involved and address its own culture. "If you look at the companies in India, for example, they recruit people from universities and put them on ten months of intensive training before putting them to work. They invest in their skills." Local companies throw newcomers into the deep end, then complain that the skills are rubbish: "We have to put the spotlight on what we as an industry are doing to produce the skills we need. There is plenty to complain about, but it's all of our responsibility." "If I was approaching a vendor, I'd ask, 'Do they actually contribute by growing skills?'" 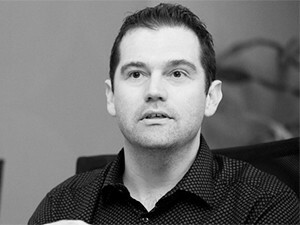 adds Kim Andersen, CTO at T-Systems South Africa. "In India, they decided IT matters to India's economy. That has transformed the country. South Africa hasn't made that decision yet." Due to the lack of decent local skills, it has created a market defined by scarcity: high salaries, low retention rates and relentless headhunting. "A lot of companies in SA don't look at skills as an investment," says Pitso. "They do it because they have to - they'll take in interns as a tax kickback. But if someone is studying software programming, they aren't stupid. So they will exploit this and get a better job." 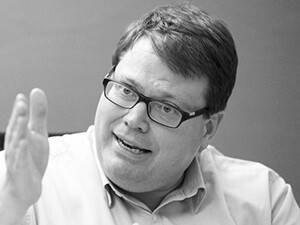 John Eigelaar, director and co-founder, Keystone Electronic Solutions. That lack of an investment mindset is, instead, in the words of one attendee, creating a pool of sharks. For example, when one of the country's major banks needed skills for antiquated Cobol systems, they started an academy to train those skills. But other companies, instead of partnering with the initiative, snapped up graduates as quickly as they could. This took place between large entities such as financial institutions and government departments bolstering their in-house talent pool. The trend is creating a negative impact on the much smaller ICT market, which is often burdened with the expectation to train skills that they know will be lured away. "I used to keep guys for three years," says John Eigelaar, director and co-founder of Keystone Electronic Solutions. "Now most of them leave within six months to a year. I lose people before they are even at a useful stage!" Adds Bell: "The problem is that the large companies such as the banks can off er salaries that don't fall in line with the market we play in. They create this ceiling that makes it very hard for others to compete. So you have guys with a year's experience getting double their salary and the industry loses them." Lance Fanaroff, joint CEO, Integr8. But while there is agreement that the country needs more skills, not everyone sees the above as entirely negative. It may also define a feedback loop that helps the industry. "If you train proper skills, wherever they go, they will generate more work," says Armand`e Kruger, regional sales director at PBT Group. "Instead of getting a slice of the pie, let's grow the pie. It's not a perfect model, but there is another side to it." Still, Dwolatzky makes a clear call to arms: "Let's all get around the table, let's run a programme jointly. We all contribute and create a big pool of skills we can then all fish from." ICT companies are not entirely victims. Skills are also scarcer because of the influx of new technologies and customer industries. Business ICT has been booming, creating a wave that the industry is not only happy to ride, but tends to add its own hubris of 'must have or die' technologies. Raising this habit leads to a rare moment of admonishment from the attendees. Says Dwolatzky: "There is a concept called technological determinism. Does the technology drive change in business or does change in business drive the technology? We as technologists fall into the trap of technological determinism. We think we invent a new widget and that widget will change the world. In fact, it's business that is changing things." * It's never about technology. You should always be approached with a business solution. * Quality is key, so insist on a track record. * They must be able to show what they're doing and have the agility to meet your objectives. * Trust is absolutely non-negotiable. * Bad solution providers tell you what you need. Good solution providers learn to understand your needs and will do their homework. * Intention is key: find out what is really motivating the solution provider. Are they trying to help you or help their targets? The conversation starts around a question about the cloud: today, the mantra for salespeople is that cloud helps companies to innovate. But go back only a year or so, and the message was more about the cost benefits of using cloud infrastructure. This isn't an atypical example of messages ICT sends to customers. As business takes more interest in technologies it doesn't quite understand, the result is confusion - and ICT has been exploiting this. Says Andersen: "The IT industry has long been committing sins: we've sold technology above and beyond the needs of business. We've pushed technology because we thought it was so great. But what is the business value?" Yet, the real trap may be a matter of ego: solution providers cannot come across as incompetent or clueless. So they often have to toe the line for a technology that itself has yet to really define its usefulness. Fanaroff draws on the popular example of cloud: "Cloud means different things to different people. Meanwhile, it's waiting for infrastructure to catch up and offer richer services to companies." The issue with new technology, he says, is that the use cases are not always there yet and it takes time for the market to find them. This tends to rely on other parts of the puzzle, such as connectivity and cost, to match expectations. "Technology matures, so the message changes all the time." Technology is a moving target, which means those selling technology often have to run and talk at the same time. But those doing the buying shouldn't think they are immune. Everyone in the ICT game should understand how highly fluid it is. Says Kruger: "Innovation comes from passion - once something becomes commercial, the innovation stops. And innovation these days happens at the speed of fibre, driven by a new generation that expects quick delivery. So innovation should be pushed from the bottom up. But if it only lives for a year, it lives for a year and then you move on."